Operation Food Search distributes more than 35 million dollars worth of food and necessities to 330 community partners in Missouri, Illinois and city of St. Louis. When they outgrew their previous facility, they looked for a building that matched the spirit and energy of the company. 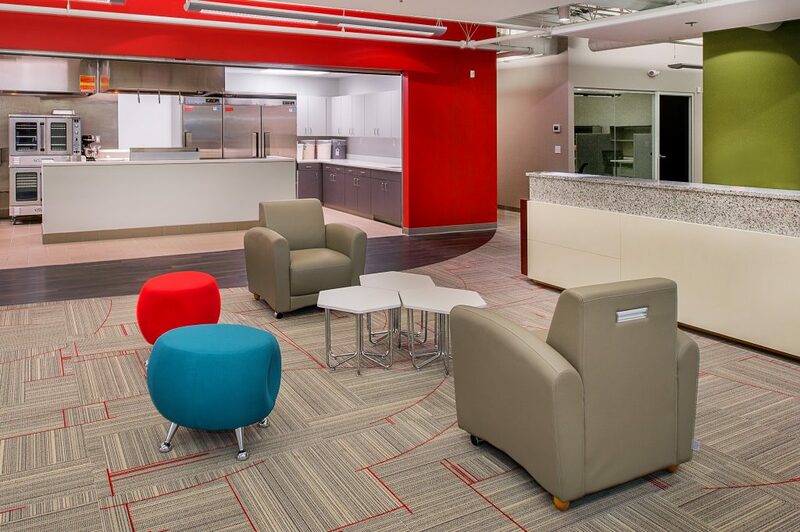 An existing warehouse facility was transformed into an engaging space for both volunteers and employees. A multi-functional, collaborative space greets visitors upon arrival and gives otherwise a utilitarian building a positive public face. Vibrant colors boast the same energy and passion that Operation Food Search brings to their work. Within this space, volunteers and employees gather and debrief before beginning their work in the warehouse. 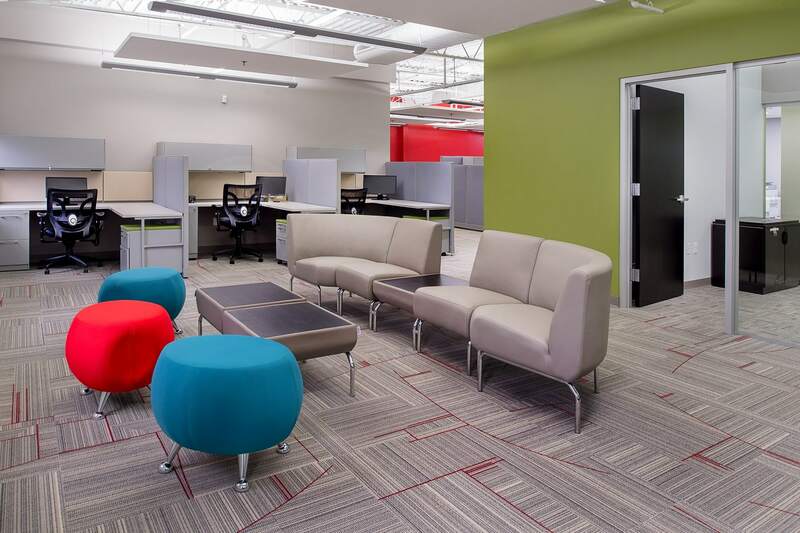 Adjacent flex spaces provide an area for donors, companies, stakeholders to consult and discuss topics of issue. A commercial training kitchen provides a unique opportunity for community members to learn healthy cooking skills. 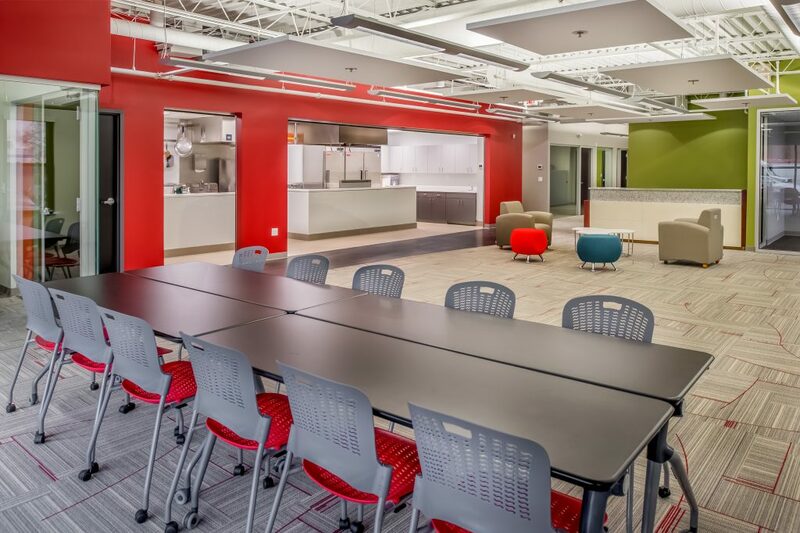 The kitchen and adjacent office spaces can be closed off at night allowing the collaborative area to function as a safe and secure event space in the evenings.